The kids from Agape Kid’s Choir (AKC) have a strong desire to share a message with you... the FAITHFULNESS OF GOD!! 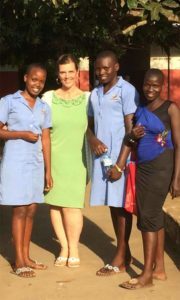 Each one of these kids have personally experienced suffering, loss, and poverty. But in the midst of their worst situations that have each seen HIS unwavering FAITHFULNESS in their lives. Their lives have not been easy, but through it all, they have learned to trust in their FAITHFUL GOD. The 22 kids have all found that their God has NEVER ONCE left them alone or NEVER ONCE abandoned them. That is why they decided to name this tour NEVER ONCE. God has provided and protected each one of these precious lives. Along their journey, God brought them to the loving and caring environment of Agape Children’s Village. Visit their website at agapechildrensvillage.com. Where they are being raised and nurtured in a God-fearing home environment. These kids are being developed to love and fear their God, and to be world-changers for His kingdom. The message of God’s Faithfulness is a great opportunity to reach out to people who are lost, alone or suffering. The choir’s message of HIS FAITHFULNESS will bring hope and refreshment to a weary life. They will be a tool you can use in your organization, school, or church. Their message will awaken people to the reality of suffering lives across the globe and the rescuing Faithfulness of God. The experience of traveling on a choir has proven to help these young lives develop courage and boldness. It has also shown to cultivate successful and healthy young lives. 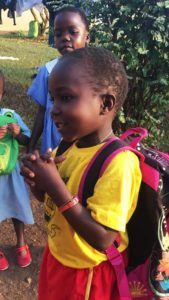 We believe that each child is being equipped to be more effective for the Kingdom and to be more productive citizens in their home country of Uganda. Accompanied by a team of adults, the choir presents the message of God’s Faithfulness by sharing personal stories, music and dance. While on the road, the children act as advocates for the millions of other African children who have experienced the same heartbreaking pain and suffering as them. You will have the opportunity to sponsor a child of your own at each event. Follow the choir as it travels the states.